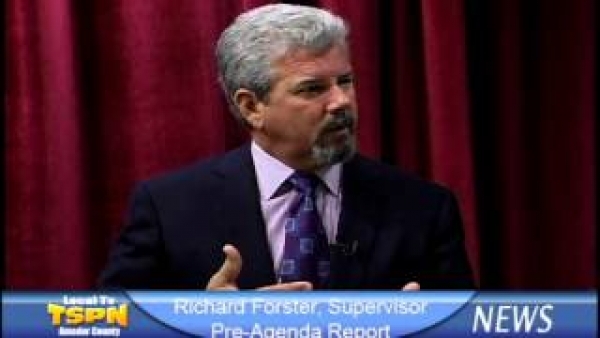 Tom Slivick talks with Supervisor Richard Forster about the agenda for the upcoming Board of Supervisors Meeting. Tom Slivick talks with Supervisor Richard Forster about what is going on at the Regional Council of Rural Counties. Tom Slivick Talks with Sean Kriletich about the current status of CalaverasGROWN's Livestock Processing Project. 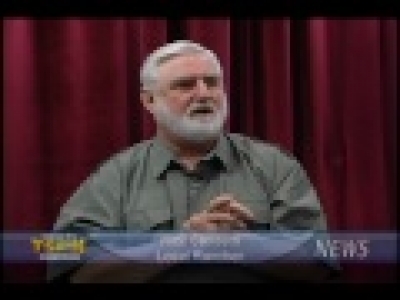 Amador County News, TSPN TV News Video, 9-12-12 - In this edition of TSPN TV News, Tom Slivick talks with local rancher Rick Sanders who recently had a number of miniature highland cattle stolen from his property. 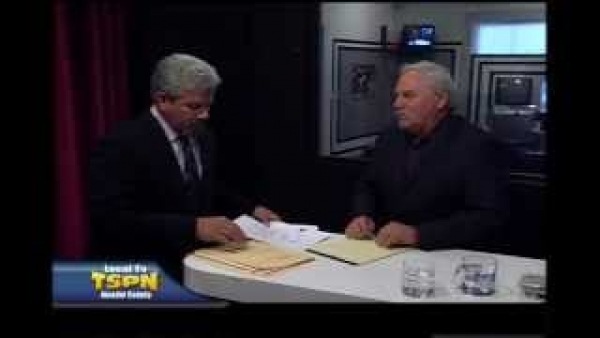 Amador County News, TSPN TV News Video, 9-11-12 - In this edition of TSPN News In-Depth, Tom Slivick talks with Tom Sage, Supervising Investigator for the Amador County District Attorney, about workmen's compensation fraud. Why the gap in TSPN's News Interviews? 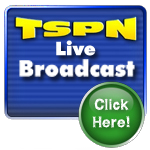 Between 8-16-2012 and 9-7-2012 TSPN was going through rapid change to its News Programming. During this time TSPN’s Newscast consisted of 2x12min News Interview segments. This format was TSPN’s “News in Depth” Format and was used during this transient period. Normally "News in Depth" was used as a stand alone 30min. Interview program, used to flesh out more complicated news issues. Please Go to "News In Depth" listed under (All Shows) to watch these 'In Depth News Programs'. 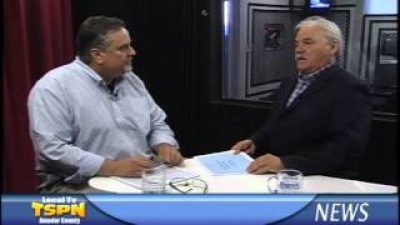 Amador County News, TSPN TV News Video, 9-7-12 - In this edition of TSPN news in-depth, Tom Slivick talks with Caltrans Deputy District Director of Maintenance and Operations Dennis Agar. 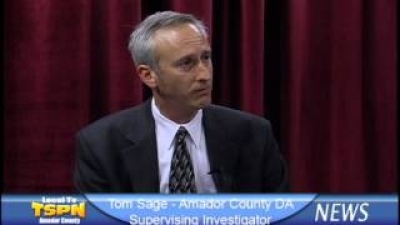 Amador County News, TSPN TV News Video, 8-16-12 - Today's news guest, Sutter Creek City Manager Sean Rabe, talks to Tom Slivick about an update on Sutter Creek. Amador County News, TSPN TV News Video, 8-15-12 - Today's news guest, Jackson City Manager Mike Daly, talks to Tom Slivick about an AWA Outreach Committee meeting held Tuesday afternoon at Jackson Civic Center.